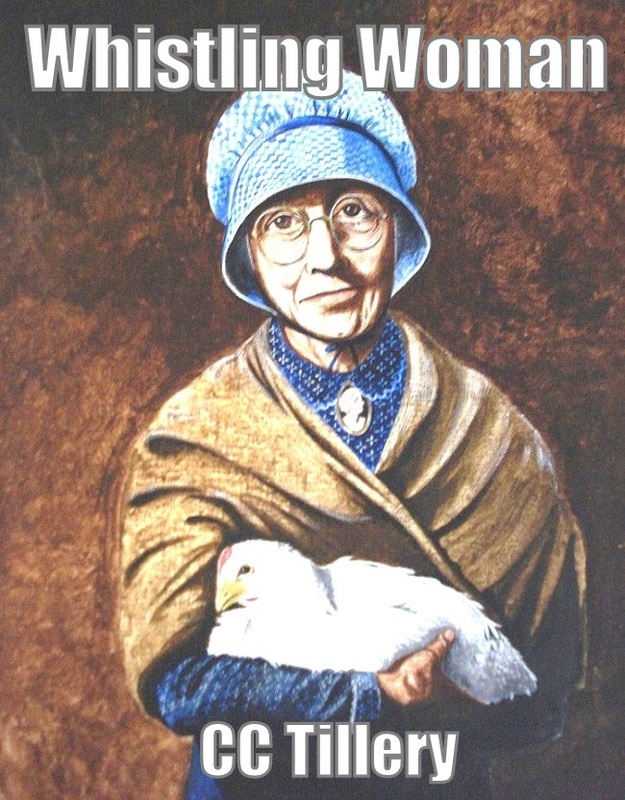 One of the stories in Whistling Woman is about Miss Cordy and her pet hen, Elsie. I have no idea when we first heard it from our dad, but it seems like I’ve known it all my life. That story and the woman it’s about just seemed to fit right in with the plot so we had to include it. Not only that, it fit with the picture we decided to use for the cover, a picture painted by our dad, John Tillery, that was inspired by the story he told us as kids. I’m not going to go into the story here–you’ll have to read the book when it comes out!–but I am going to show you the cover–or the tentative cover. We’ve been working on this for a while and I’m still not sure if we’ve got it right but this is what we have for now. Of course, it could change. Not the picture, but the font (fixed that!) and the way the painting is positioned. And there you have it. What do you think? Thanks for letting us know. I bought the book this morning and can’t wait to read it. Thanks so much, Shannon. We hope you enjoy it! Well, since you posted this, the book is out, I got my copy and reviewed it! I try to keep up with all your blogs, but we do so much PR, we are bound to miss a few. Anyway, a bit late for this one, but I wanted to tell everyone what a great, enchanting story Christy and Cyndi/Caitlyn weave about their great aunt. Fascinating woman! Get the book!! !